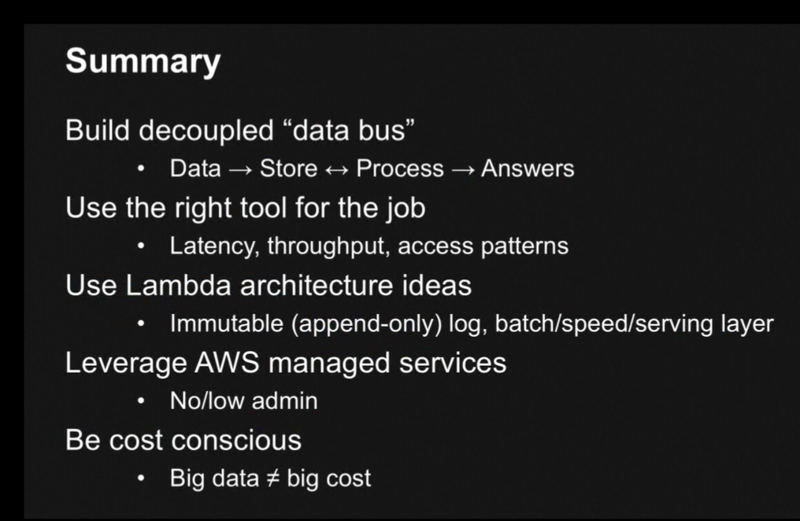 The “Essentials: Architectural Patterns for Big Data on AWS” webinar from today was one of the best webinars that I have seen in a long time. I really like the use of temperature graphs to compare and contrast AWS usage scenarios and the best services for such scenarios. 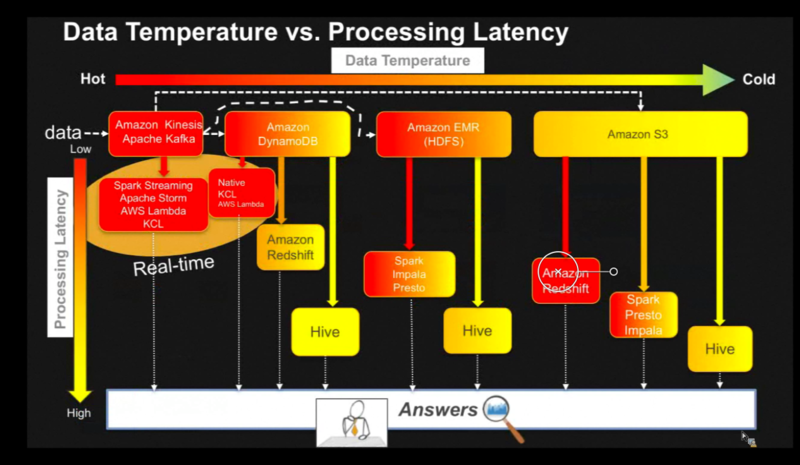 This is a great example of such a graph (I’ve seen some other AWS webinars that use similar visualization). It’s funny that at the beginning of every AWS webinar a bunch of people ask if the slides and presentation video will be available. The answer is always the same “we’ll send out a link to the slides and video in a few days”. I have attended several of these webinars and with the exception of one – the slides and video are never sent (for the exception – a link to video/slides was available for a few days – then the video disappeared). These days I typically record the webinars if I can. I’m really glad to have recorded this one. I would love to post the video of the presentation but I cannot do so since it is AWS’s property. If the video for this fantastic webinar does not show up – please hit up @awscloud (https://twitter.com/awscloud) and ask them to give me permission to post the video (alternatively – I’m more than happy to send it to them for posting).